At issue in NYC is whether polystyrene, commonly known as Styrofoam, can be effectively recycled in a way that doesn't cost too much. New York City could soon become the biggest U.S. metropolis to outlaw Styrofoam food and beverage containers. Currently, most Styrofoam products used in the city end up in landfills. At issue now is whether polystyrene, commonly known as Styrofoam, can be effectively recycled in a way that doesn't cost too much. New York passed a law last year restricting the sale and use of cups, food containers and packing materials made out of polystyrene. It will apply to restaurants, coffee shops, food carts and various other establishments. But the ban was put on hold to first give manufacturers and the city time to see if they can come up with a way to recycle the material. If the city deems polystyrene recyclable, it will begin processing it at a recycling facility in Brooklyn. If it decides it cannot be recycled, the ban is expected to go into effect in July. A ban would put New York City in the same league as San Francisco, Seattle, San Jose and Portland, all of which have restrictions on Styrofoam containers. Dart Container, one of the leading makers of foam cups, counters that polystyrene can be recycled in an economically feasible and environmentally effective way. Dart has proposed a plan that would guarantee that all of New York's foam products will be recycled for the next five years -- at no cost to city, according to a statement from Michael Westerfield, the company's director of recycling. Westerfield added that businesses stand to gain "millions in revenue" by recycling polystyrene. Related: How green is your state? However, critics disagree that recycling is a good option. 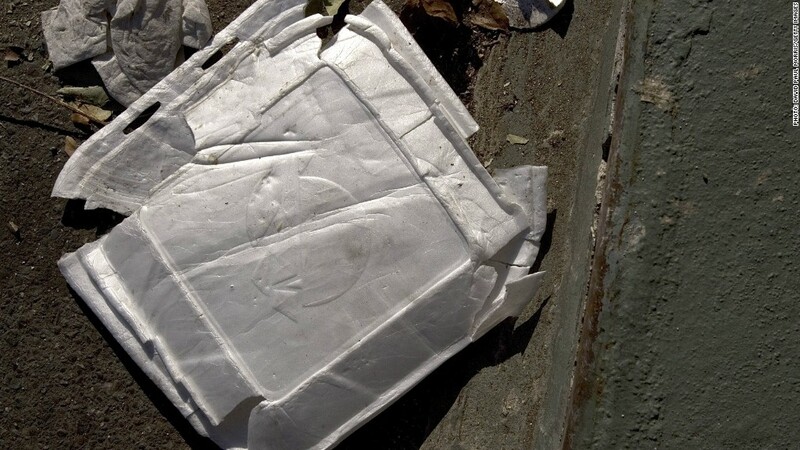 A study by the Natural Resources Defense Council found that there is no safe and cost-effective way to recycle polystyrene and that a ban is the only option. In 2013, San Jose, California, found that polystyrene cannot be recycled because of its low market value and the risk of food contamination. In pointing out the possibility of the upcoming ban, a recent Goldman Sachs (GS) report said it would be good news for Berry Plastics Group (BERY), which makes cups out of a material similar to polystyrene that is recyclable. Dunkin' Donuts, the coffee and donut chain with many locations in the city, will likely be a big buyer of Berry's Versalite hot and cold cups, the report says. Goldman estimates that Versalite could generate an additional $10 million in revenue next year for Berry Plastics. The investment bank said its sources suggest that New York is likely to ban the use of foam containers sometime over the next 12 months.